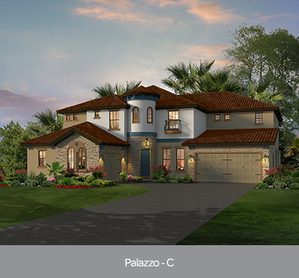 Waterside Vista is a new luxury home gated enclave of only 24 homes. 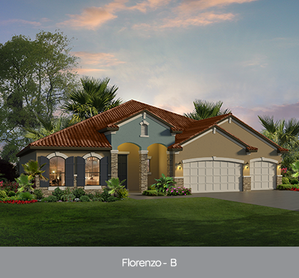 Residents of Waterside Vista enjoy private community boat launch right onto East Lake Toho and oversized lots featuring Mediterranean inspired homes with barrel tile roofs. Interior features can include large, luxury suite bedrooms, spa-like master baths, restaurant-quality kitchens and resort-style pools. 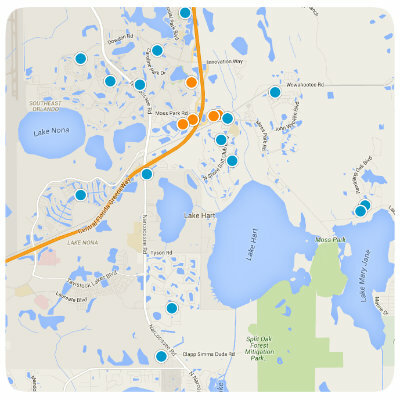 Where is Waterside Vista in Lake Nona? Waterside Vista is located off Narcoossee Road in the Narcoossee area of Saint Cloud in Osceola County. Just over the county line, it is just 2.5 miles from the Lake Nona area and only 10 minutes from Medical City. Park Square Home was the exclusive builder in Waterside Vista. The oversized home sites start at 100'x150' and Park Square offers six floor plans ranging from 2500 square feet to 5010 square feet. 10 homes will have direct canal front access. The neighborhood is fully built out now so only resale homes are available in the neighborhood.